Explore the desert and the pyramids of Giza on this half-day guided ATV tour. 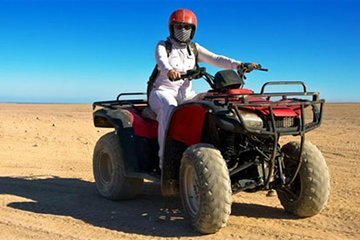 Hop on your own ATV and ride around the popular landmarks including the Great Pyramid of Giza and the Cheops, Chephren, and Mykerinos pyramids. Ideal for active travelers, this tour combines an off-roading experience with a must-see attraction.